British backpacker NZ: The important detail about Grace Millane murder. "Following the murder of Grace Millane, it's not 'men' we should be afraid of." 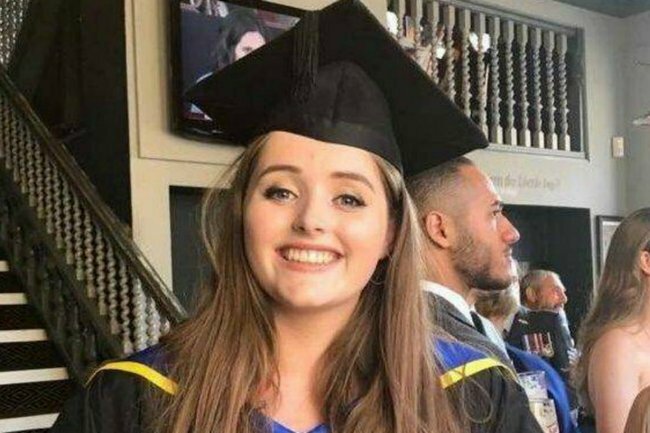 Like most New Zealanders, I have invested myself in the Grace Millane case since news first broke that a young British backpacker was missing from her Auckland hostel. I have followed the highs and lows – the potential sighting on the southern motorway, the CCTV footage of Grace at Sky City and at City Life Hotel. I counted down the hours to the arrival of Grace’s father – I imagined he would find her, she would be fine, and they would explore our country together before she continued with her travels, laughing about that time she went off grid for a couple of days and had everyone worried. I watched on with concern when police confirmed a location of interest, a person of interest, a vehicle of interest. I continuously refreshed my newsfeed on Saturday afternoon and through the evening, eventually learning that police were speaking to a 26-year-old, that he had been charged with her murder. On Sunday I hoped for news that Grace had been found, and her body recovered – I still maintained a glimmer of hope that somehow this would all be a big mistake and she would be alive and well. It wasn’t to be, and on Monday morning I followed the arraignment, where her murder-accused was granted temporary name suppression by way of an appeal. Grace’s murder has broken my heart. Grace’s murder should never have happened. In the days that have followed I have read story after story about how women shouldn’t have to be afraid going on a date with someone they met online (Grace, Warriena), going for an afternoon jog (Joanne), walking home from work (Eurydice), attending a New Years Eve party with a friend (Olivia). This is entirely true – women should not feel the need to carry their keys between their fingers, or have pepper spray on their keychain. Women should be safe, all people should be safe. I do think though, that these many articles are putting blame on the wrong group. When we walk with our keys between our fingers, we aren’t afraid of men – we are afraid of murderers, of rapists, of thieves and of kidnappers. We just don’t know how to spot the difference. In the wake of the Lindt Cafe Siege there was an outpouring of support for Muslim people. We did not let the actions of Man Haron Monis lead to fear of all Muslim people, of all people who “looked like him”. We worked actively to ensure that Muslim people were not treated differently because one person, or a small collective of people, did something unimaginable and unforgivable. Nazi Germany is referred to as Nazi Germany, because we acknowledge that there is a difference between being a German, and being a Nazi. We do not hold Germans responsible for the Holocaust, we rightly attribute blame to The Nazis alone. I struggle to see why, in the wake of Grace’s murder, we are talking about being afraid of men, and not talking about being afraid of murderers and rapists. Why is it okay to say we are weary of men, when it wasn’t okay to say we were weary of Muslim people? When it wasn’t okay to say we were concerned about Germans? If it is okay for men to be tarnished by the actions of an incredibly small group within the male population, why do we fight so hard to make sure feminists aren’t tarnished by the small group of extremists/man-haters? I would love to hear some views on this. I have no doubt I am missing part of the discussion, or have misunderstood something in the conversations we are having now, and that we had recently in the wake of Eurydice’s murder.